Most of us have pinned fake flowers to our cardigans or worn them in our hair. But have you ever thought of wearing the real thing? Throughout history, women of style have accessorized with real flowers. It is an elegant and inexpensive way to make an impression at a party or out on a date. 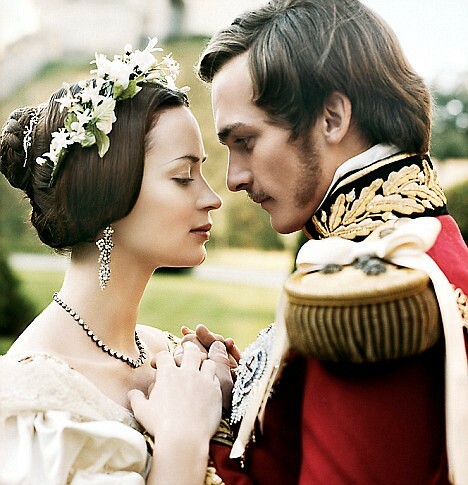 Emily Blunt plays Queen Victoria in "The Young Victoria" (which I highly recommend). I loved this picture of Grace Kelly I came across. She used a bunch of flowers to liven up a little black dress- in a close up, you can see that she literally stuffed the stems into the dress's neckline and then arranged them accordingly. The result is stunning. The photo that launched a thousand flower-wearing copycats. 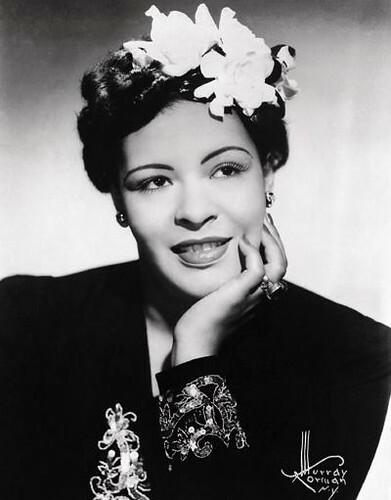 Billie Holiday's flowers in her hair became an iconic look for the jazz singer- Mo'Nique famously copied the look recently at this year's Oscar Awards. The next time you get a bouquet of flowers or spy a few pretty blooms in your garden, take some bobby pins and experiment with pinning them over a messy bun, or above your ear. Or if you're feeling more daring, pull a Grace Kelly and arrange them along the neckline of a plain, strapless dress. Don't be afraid- wear them the same way you'd wear silk flower accessories. Just be sure to use blooms that don't wilt too quickly. Have you worn real flowers? Would you?